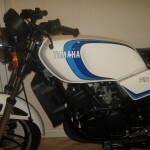 This Yamaha was fully restored by its owner. 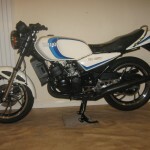 Every part was either replaced, refinished or refurbished. 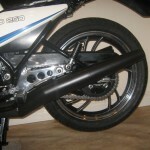 The frame was bead blasted and powder coated along with the swing arm, centre stand, subframe, torque arm, rear drum, top yoke, engine ignition and clutch cover cases. 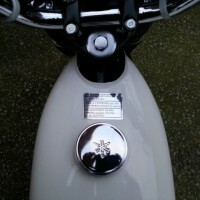 Other various parts were re-plated in zinc silver gold and dark green olive. 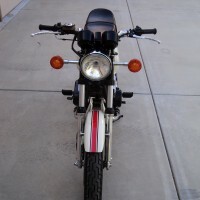 The engine was stripped and the crank was inspected and rebuilt. 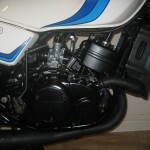 The cylinders were re-bored to 1.0mm oversize and fitted with new pistons. 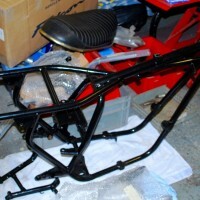 The carburettors, forks and footrest hangers were vapour blasted. The carburettors were rebuilt new needle valves and seats. 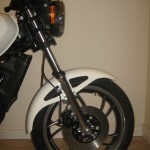 The fork bottoms, wheels rim edges and footrest hangers were mirror polished. 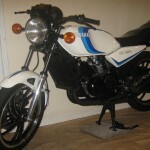 The bodywork was professionally painted. 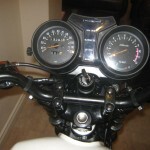 New tapered steering head bearings were installed. 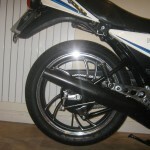 New wheel bearings were fitted. 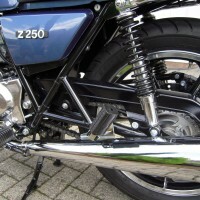 The front brake caliper was refurbished with a new piston and seals. 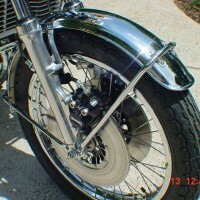 The grab rail was re-chromed. 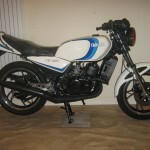 A very good restored 1981 Yamaha RD250LC Motorcycle.